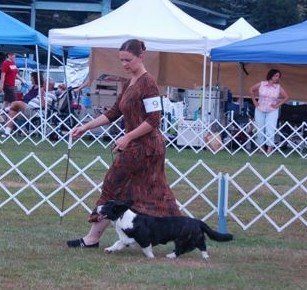 What a blistering hot weekend for a dog show… It was way over 100 degrees in the hometown both Saturday and Sunday, so I was actually really glad we went west for the show. It was only in the 90s yesterday and 80s today. 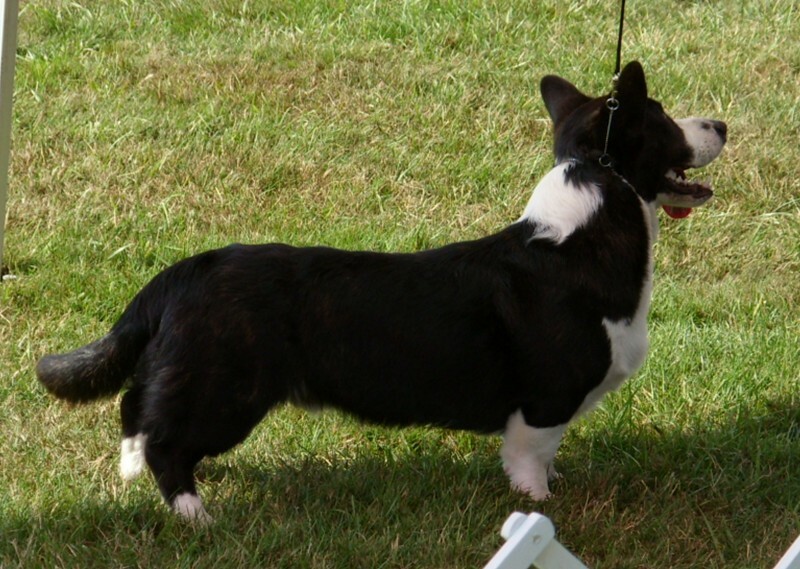 Hunter took Reserve Winner’s Dog under Judge Ms. L. More on Saturday, and took Winner’s Dog and Best Of Winners for 2 points today under Judge Mr. F. Bassett. That brings the total up to 8 points, one major. The first picture take of Hunter sidegaiting was taken by Ann Benjamin of Merrythought Cardigans. And the second one of him standing was taken by Jesse. Thanks! Here is a video of Hunter’s performances today. It is of him going down and back and me throwing bait because he decided he was too good to give the judge ears… Jesse was my wonderful camera man.